Following her success with the Kitschen Sink brand, I felt it was only natural to keep this theme consistant throughout. 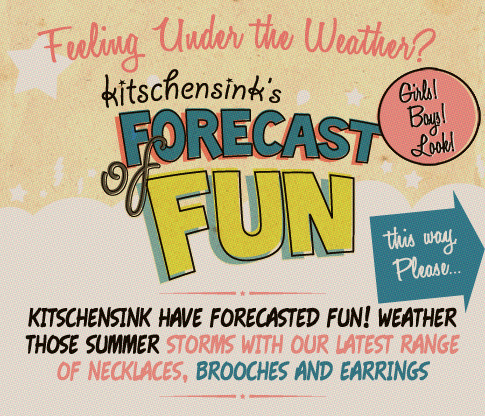 The resulting logo has a real 50s comic look which I wanted to be as inviting, intruiging and fun as possible. For this brand, I also retained the vintage colour scheme, but added a dusky pink and yellow to differentiate from the core Kitschen Sink brand colours. This entry was posted on Saturday, September 4th, 2010 at 8:06 pm	and is filed under cool stuff, kitschensink.com. You can follow any responses to this entry through the RSS 2.0 feed. You can leave a response, or trackback from your own site.